Let's get the bad news out of the way first: That destination charge listed on every new car's window sticker is something you'll have to pay. According to U.S. law, car delivery -- transporting the vehicle from port or assembly plant to dealer showroom -- is always listed as a separate line item on a new-car window sticker. Automakers may use different names to describe it, but it always works the same way, with buyers covering the cost. Freight, delivery or destination charges ensure that the buyer pays equally to cover the cost of delivering a vehicle to a dealership, regardless of whether the dealership is nearby or far away from the vehicle assembly plant. For example, a Kia Optima buyer in Seattle is not required to pay more for the vehicle than a buyer in Atlanta, who's thousands of miles closer to the West Point, Ga. plant where the Optima is built. Instead, Kia passes the cost on to buyers with a delivery charge of $800, regardless of where the seller is located. The fee is not included in the MSRP. Instead, it's typically listed as one of the last items on the window sticker, right above the total price. Fees vary depending on brand or even model. 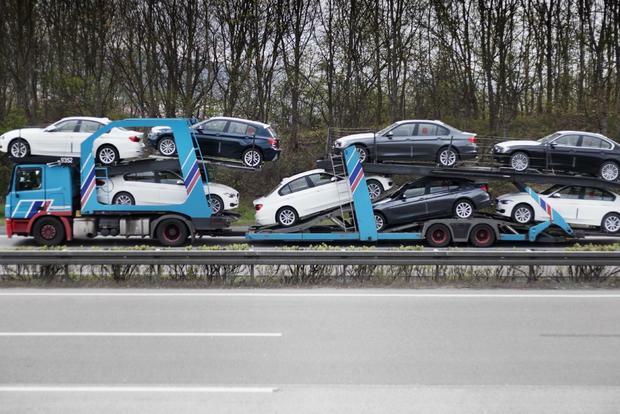 Larger, heavier or more expensive models can be more costly to move for the automaker. That cost is passed on to the consumer through the destination charge. For example, a high-end luxury vehicle may require more careful protection before making a trip by rail or truck. Wrapping the car in protective film or transporting it in a closed truck adds costs, which result in a higher destination fee. Imported vehicles don't necessarily have higher delivery fees than domestically built ones, because only car delivery inside the U.S. is covered by the fee -- foreign automakers usually cover the cost of getting their vehicles to U.S. ports. Although there's no getting around a delivery charge at the negotiating table, new-car shoppers can prepare for it -- and avoid surprise -- by considering it when researching vehicles. Typically, fees are about $700 to $1,000. Be sure to add that to a vehicle's MSRP when budgeting for your next new car. Upon negotiating a sale price, keep the delivery fee in mind to ensure a budget-friendly deal.